Whether you're cruising the blues or charging off-piste, a helmet is essential for keeping your noggin safe against any falls and impact. But which helmet should you reach for? Try our handy guide to make sure that you shred safely, and in style. ##Fit In order to get the right fit, it's worth measuring your head so that you can choose the right sized helmet. 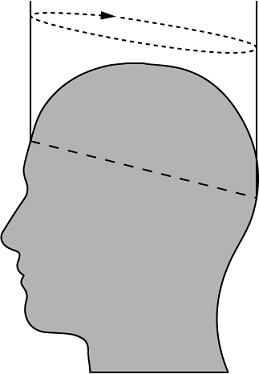 • To measure your head, we recommend using a soft tape measure - make sure that the tape goes across the centre of your forehead, above the ears and meets at the back of the head. • If you have long of thick hair, or plan to wear a beanie/ balaclava underneath your helmet, allow 1cm extra. • If you head works out the same circumference as the helmet size, we recommend choosing a larger size up for a better, more comfortable, fit, particularly if the helmet is an adjustable one. ##Styles Full Shell - This design covers your head and ears, providing the highest level of protection. This style is most popular in kid's helmets and racers. Half Shell - This design is the most standard shape for most helmets and covers your head, with the ears protected by earpads. This can offer better thermal protection. Peaked - A newer style, peaked helmets feature a solid brim, like a baseball cap, to help in preventing snow or sun from getting in your eyes. Visors - Some helmets are designed with a built-in goggle visor that can be flipped down. ##Adjustability Once you've made sure that the helmet fits correctly, slight adjustments can normally be made for ultimate comfort and a customised fit, with an Adjustable Fit. However, Standard Helmets come without an adjustable fit and are available in fixed head sizes, such as 58-59cm. However, Adjustable Helmets can fit a range of sizes, such as 56-60cm, thanks to the adaptable structure. Foam Pads - Even though some helmets do not feature exterior adjustment, some include detachable pads, which add thickness to the interior of the helmet for a snugger fit. These helmets also work out better for those who prefer to wear a beanie under their helmet, and are most commonly found in children's helmets. Sliders/ Wheels - Otherwise known as the 'In Form' System, this requires a simple adjustment of a wheel or ratchet to tighten or loosen the helmet, with vertical adjustability so you don't end up with a gap between your goggles and helmets. Dial - For a quick and easy fit adjustment, fine tuning is possible with a simple turn of a dial, or the Boa Fit System. This can easily be adjusted on the go with one-hand adjustment. BOA Technology allows micro adjustments to smoothly distribute pressure for all-day comfort without the bulk. 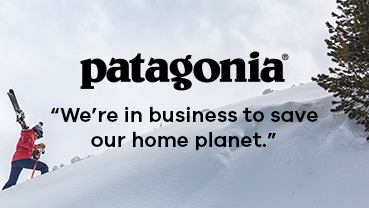 The Boa Fit System can be found in Pro-Tec, Anon, Uvex and Smith helmets, (add links to brand pages) ##Construction EPS - Expanded Polystyrene - The industry standard for ski and snowboard helmets, EPS is a rigid, tough foam inner liner. This is designed to withstand higher force impacts. However, the EPS foam is designed to take one single, large impact. This means that the foam can become less effective after a large crash, and should be replaced, even if the helmet appears undamaged. EPS foam usually achieves CPSC, ASTM 2040, EN 1077 and EN 1078, yet it is worth checking each helmet's own exact certification. In-Mold Design - An alternative to the traditional EPS design, this construction uses a hard, thin polycarbonate plastic outer shell that is moulded to an EPS liner to create one component. It is the EPS foam liner that absorbs shock on impact. Lightweight, this construction creates a seamless, low profile design that uses less rebound during impact, as it collapses under hard force. These helmets usually achieve CPSC, ASTM 2040 and EN 1077 certification as it still uses the EPS lining. Hard Shell ABS - This construction is made up of a tough, thick ABS plastic shell that ensures plenty of protection from multiple knocks. Injection-molded - When an EPS foam is bonded to a separate, high-impact ABS plastic shell, this creates an injection-molded construction. This design has the same benefits as In-Mold or EPS foam, but has the added advantage of the ABS shell to withstand multiple hits. Hybrid Construction - Some brands use a Hybrid Construction, using an in-mold construction to the main part and an ABS construction to the top part. Light as a feather, this construction is also as durable as possible. Whichever construction you choose, it is worth noting that most helmets are designed for one individual hard impact. If the hard foam interior collapses or cracks in order to soften the impact, the helmet obviously becomes less protective for future falls. In this case, helmets should be replaced. ##Brand Technology Zip Mold + - Bern uses a Zip Mold + Construction. This is a lightweight PVC microshell lined with proprietary Zip Mold+ liquid injected foam for a low-profile design. G-Form - Included in some Anon helmet models, G-Form is An innovative Reactive Protection Technology. G-Form is able to change state on impact to disperse nearly all of the energy. The material is flexible and soft in its resting state, thanks to the molecules slightly repelling one another. On impact, these molecules immediately bind together to absorb and dispel energy, before then returning to its original state one more. G-Form is crafted for multiple impacts and is highly durable. Flex-Shell - Some Anon helmets feature a Flex-Shell construction. This design fuses an injection-moulded ABS shell with a high-density foam liner interior. ##Ventilation When you're shredding all day, particularly in spring, excess heat and moisture are going to need to escape. That's where most helmets provide some form of open, passive built-in venting system. These cannot normally be adjusted and are simple in their design. Passive Ventilation - This Ventilation system is normally built-in channels integrated into to the helmet. This system draws fresh air in the front and pulls moisture out the back to keep goggles clear and help in keeping a balanced and comfortable climate all day long. Active Ventilation - However, some helmets come with adjustable venting systems that give you the power to close the ventilation holes depending on the varying weather conditions. This often consists of a small switch near the brim, top or base of the helmet to control the ventilation - simply flip the vent open for more air, or close for those colder rides. Can't decide? Simply flip the switch to somewhere in the middle. ##Certification It is always important to check if the helmet meets the necessary Safety Ratings. ASTM F2040 - The American Society of Testing Materials, International (ASTM) is the United States standard for helmet safety rating. ASTM F2040 is the standard for helmets used for recreational snow sports and is the most common snow helmet certification. When the helmet features this safety rating, it has passed positional stability, (roll off) and strength retention testing. However, the ASTM F2040 is tested to a lower impact level than the European CE 1077/ EN 1077 specification. EN 1077/ CE EN1077 - Most of our helmets meet the European certification for alpine skiing and snowboard helmets- Central European Norm, (CEN). These helmets have been through testing for shock absorbing, field of vision, retention system and fastening devices. EN 1077 comes in either Class A or Class B. Class A helmets must protect the side, top, back and ears of the head and be able to withstand an impact from a drop height of 75cm. Class B must protect the top and back of the head and withstand an impact from a drop height of 37.5cm. ##Features Earpads - Most goggles come with earpads for extra warmth and comfort. These earpads are usually detachable for when the weather heats up, or for swapping in audio-compatible versions. Audio Systems - Some helmets feature built-in audio speakers. These are normally in the form of audio earpads that can connect to MP3 players and mobile phones. ##Goggle Compatibility It's worth checking that your goggles are compatible with the shape of your helmet, so as not to have gap in between your helmet and goggle. It is worth checking that the helmet does not cover the goggle's vents, as this can lead to fogging up of the goggle's lens. Most brands create compatible goggles and helmets so that the two fit perfectly together. Liner - Most helmets feature a liner for added warmth and comfort. Some are low pile and pill resistant, with moisture-wicking and anti-odour properties. Helmet liners are often removable and washable. Straps - Most helmets feature a strap fastening. The chin strap offers an extra secure fit. It is recommended that the chinstrap needs to fit back against the throat to lessen the chance that it will come off on impact. Anon feature their Fidlock system. This includes a magnetic SNAP helmet-buckle for one-hand opening, even if you're wearing gloves.